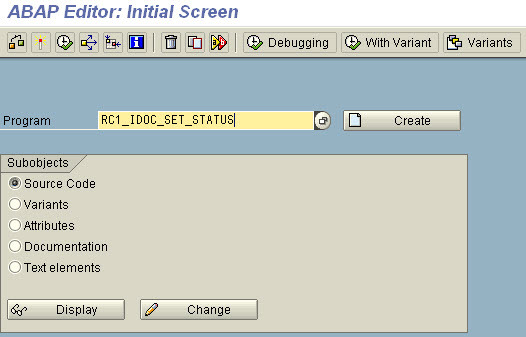 When testing an interface in SAP PI I wanted to resend some idoc's to PI. 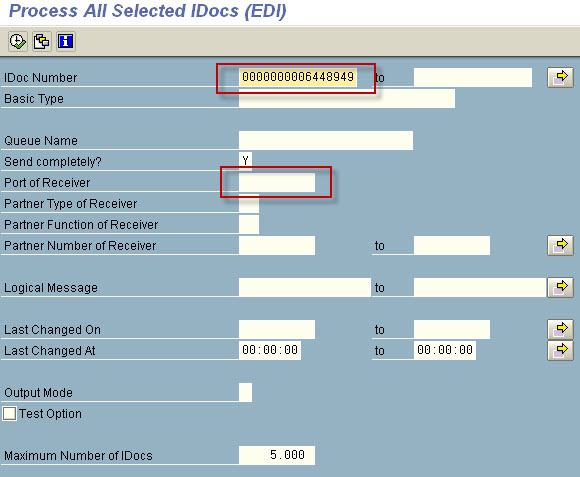 Resending a succesfully processed idoc in SAP PI is not possible from SXMB_MONI. You can use transaction WE19 from your backend system to do this, but I was not authorized to use this transaction. So I had to look for an other way to do this instead of always disturbing other colleagues who had the authorization to use transaction WE19. 1. 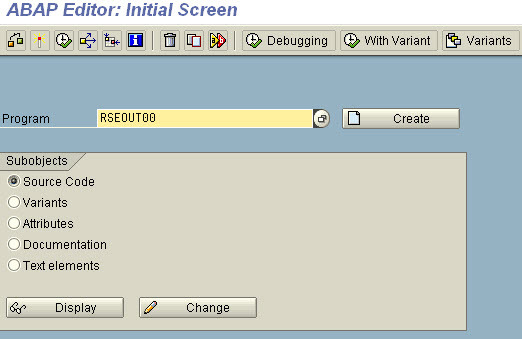 Use the transaction code SE38 in your SAP backend system and enter RC1_IDOC_SET_STATUS. Click on Display. 2. Click Direct Processing or press F8. A. Enter the IDoc Number in the field or click the button to the right to enter multiple IDocs. B. 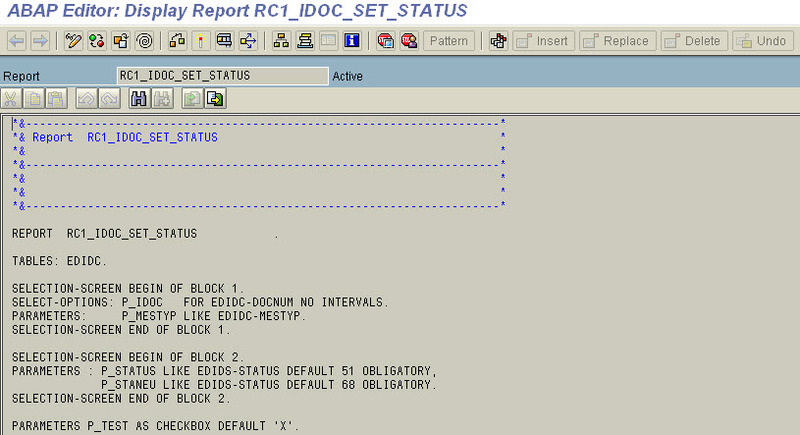 Enter the current Status of the IDoc under Status. Looking up the status can be done using transaction code WE05. 4. Use the transaction code /nSE38 to go back to SE38. Now enter RSEOUT00. Click Display. 5. Click Direct Processing or F8. 6. Enter fields for Process All Selected IDocs. B. Optional: If you want to send the IDoc to a different port then originally specified, update the field Port of Receiver with that port information. 7. Check the result in SXMB_MONI.